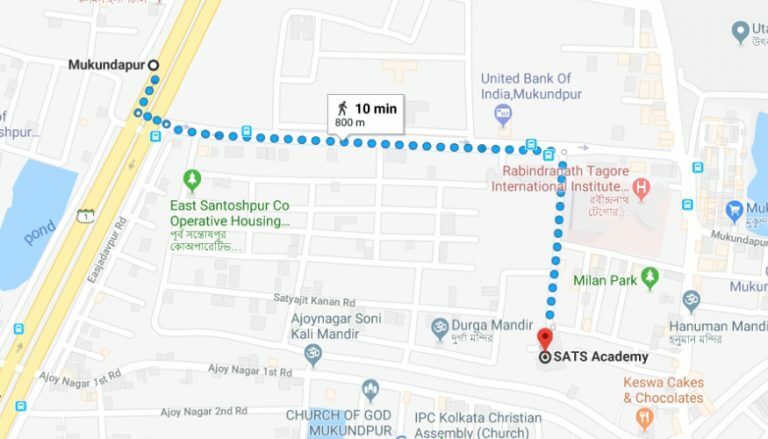 SATS Academy, a company registered at 153, Nabalia Para Road, Behala Chowrashta, Kolkata 700008, with the contact email address info@satsacademy.in is the data controller for the purposes of state, federal and international data protection regulations to include the General Data Protection Regulation (“GDPR“). When you use the Service, you provide us with three types of information: (i) information you submit via the Service; (ii) information regarding your use of the Service collected by us as you interact with the Service; and (iii) information from Third-Party Websites and services. The information we gather enables us to personalize content and features, improve and continue to operate the Service and to provide you with the services and information you request. In connection with certain aspects of the Service, we will request, collect and/or display your personal information. Information you give us that identifies you, which includes, your email address, legal name, physical or postal address, date of birth, gender and photographs identifying you or other depictions of your likeness and related information like demographic information such as the industry in which you work, the designation or the post you hold, your updated curriculum vitae, professional achievements, academic qualification. Technical information about your use of our Service, which includes, for example, internet connection, your computer or mobile device and operating system, browser and other software you use to access our Service, as well as your Internet Protocol (“IP“) address or other device identifiers. When you provide information for processing on the Service, you will provide information that could be personal information. You acknowledge that this information is personal to you, and by using the Service and providing personal information to us, you allow others, including us, to identify you, and therefore, you will not be anonymous. We will use your contact information to send you information about our Service or to send promotional emails and intimate you regarding the upcoming academic events. You can withdraw your consent at any time by clicking on the opt-out button which is found in our promotional emails. If you opt out, we will still send you non-promotional emails. Non-promotional emails include emails about educational activities and updates along with our business dealings with you. We also reserve the right to contact you when we believe it is necessary. We automatically receive and record information from your web browser when you interact with the Service, including your IP address and cookie information. Generally, the Service automatically collects usage information, such as the number and frequency of visitors to the Service. We will use this data in aggregate form, that is, as a statistical measure, but not in a manner that would identify you personally. This type of aggregate data enables us and third parties authorized by us to figure out how often individuals use parts of the Service rendered by us so that we can analyze and improve them. “Cookies” are small data files that are sent to your web browser when you access a website, and the files are stored on your device’s hard drive. We use “session” cookies to keep you logged in while you use our Service, to track your preferences and to track trends and monitor usage and web traffic information on our Service. These are erased when you close your browser. We use “persistent” cookies to relate your use of our Service to other information about you and store information about your preferences to make your user experience consistent and customized. For example, we will create a persistent cookie that includes basic information about you, like your favourite website locations and whether our back end team responded to your inquiry related to registration for any academic session. & These cookies stay on your hard drive until you erase them or they expire and associate your information with your account even if you are logged out. We use web analytics tools that help us understand how users engage with the Service. Like many services, we use first-party cookies to track user interactions, as in our case, where they are used to collect information about how users use the Sites. This information is used to compile reports and to help us improve our Service. The reports disclose website trends without identifying individual visitors. We use “clear GIFs” (also known as “web beacons” or “pixel tags“) or similar technologies, on our Service or in our communications with you to enable us to know whether you have visited a part of our Service or received a message. A clear GIF is typically a one-pixel, transparent image (although it can be a visible image as well), located on a website or in an email or other type of message, which is retrieved from a remote website on the internet enabling the verification of an individual’s viewing or receipt of a website or message. We do not automatically collect personal information unless directly provided by you in order to receive communications from us, but we will tie personal information with the automatically collected information using the above tools or information collected from other sources. We also log information using digital images called web beacons on our Service or in our emails. We use web beacons to manage cookies, count visits, and to learn what promoting works and what does not. We also use web beacons to tell if you open or act on our emails. To support and enhance the Service, we serve advertisements, and also allow third-party advertisements, through the Service. These advertisements are sometimes targeted and served to particular users and will come from third-party companies called “ad networks.” Ad networks include third-party ad servers, ad agencies, ad technology vendors and research firms. Advertisements served through the Service will be targeted to users who fit a certain general profile category and will be based on (i) anonymized information inferred from information provided to us by a user, including personal information, (ii) Service usage patterns of particular users, or (iii) your activity on a third-party website. We do not provide personal information to any ad networks for use outside of the Service. We do not knowingly collect or solicit personal information from anyone under the age of 12 or knowingly allow such persons to register for our Service. If you are under 12, please do not attempt to use or register for our Service or send any personal information about yourself to us, including your name, physical address, telephone number, or email address. No one under age 12 will provide any personal information to SATS ACADEMY or on the Service. In the event that we learn that we have collected personal information from a child under age 12, we will delete that information where reasonably possible. If you believe that we have any information from or about a child under 12, please send a detailed message to info@satsacademy.in. In any other way, we will describe when you provide the information. With your consent, we will process your personal information to notify you of new upcoming academic activities, skill enhancements, educational upgrades, contests, promotions, or special offers. We share information that is not personal information and that does not identify you personally about your interests, your use of the Service, and the links and ads that you follow, with third-party content providers or advertisers located in India and which store your personal information in India; if we do so, we will not provide them with your name or contact information. The information that we collect from you will be stored at/processed in India. Your personal information is also processed by staffs operating within India who work for us or for one of our business partners. Such staffs are engaged in, among other things the processing of your information for educational services, the provision of support services, fulfilment of requests, and the processing of your payment details. We will take all steps reasonably necessary to ensure that your personal information is treated securely and in accordance with this policy. Unfortunately, the transmission of information via the internet or email is not completely secure. Although we will do our best to protect your personal information, we cannot guarantee the security of your personal information transmitted through the Site or over email; any transmission is at your own risk. Once we have received your personal information, we will take appropriate technical and organizational measures to safeguard your personal information against loss, theft and unauthorized use, access or modification. We will, from time to time, host links to and from the websites of our affiliates or third parties. If you follow a link to any of these websites, these websites will have their own privacy policies, and we do not accept any responsibility or liability for these policies. Please check these policies before you submit any information to those websites. We will retain your personal information pertaining to your transactions with SATS ACADEMY, educational services provided by SATS ACADEMY, or third-party services provided on behalf of SATS ACADEMY and Services provided through our Sites for such period in which you or us can bring a claim of breach of contract. This period differs based on state, federal, and international data protection regulations. After you have terminated your use of the Services and our Sites, we will store your information in an aggregated and anonymized format. SATS ACADEMY adheres to the framework and guidance provided through the General Data Protection Regulation (GDPR) and as such ensures all data rights afforded under GDPR. At any time, you have the right to object to our processing of data about you, to which you have consented for the purposes of keeping you updated with the latest news about SATS ACADEMY events, activities, opportunities and exclusive content, and we will stop processing the data for that purpose. In the event that you wish to make a complaint about how we process your personal information, please contact us in the first instance at info@satsacademy.in, and we will address your request as soon as possible. This is without prejudice to your right to launch a claim with the data protection supervisory authority in the country in which you live, work, or think we have infringed data protection laws. Indian residents may choose to request certain information regarding our disclosure of personal information to third parties for their direct marketing purposes or choose to opt out of such disclosure. Our policy is not to disclose personal information collected online to any third party for direct marketing without your approval.  To make a request or to opt out at any time, please contact us at info@satsacademy.in. Please indicate what publications or services you no longer wish to receive. Following policy is applicable for all the academic programs and courses that are conducted by SATS Academy. 2. Any revision in the course fees /subscription fees / any other fees will be at the discretion of SATS Academy and shall be updated on the website time to time. 3. Fees paid for a specific program are not transferable to any other program. 1. The course fees of any course cancelled from SATS Academy will be refunded fully on or before 30 working days. 2. 25% of the course fees will be refunded if ny candidate cancels registration at least 48 hours before the scheduled time of the course. 3. No refund will be entertained if cancelation of registration is done without any intimation. Proudly powered by SATS Academy | Copyright to: SATS Academy of Critical Care pvt. Ltd. by SATS 2018.